Jeff Koons was awarded the Medal of Art for his longtime contributions to Art in Embassies and cultural diplomacy on November 30, 2012. Jeff Koons’ monumental Tulips is currently on extended loan to the Beijing US Embassy, the second largest in the world (after Iraq). Part of his Celebration series, the sculpture features the tulip flower, which the Chinese consider a symbol of good luck. Seen by thousands of visitors every year, the work has become an iconic landmark in the area, and a sign of the unparalleled importance of USChina relations going forward. Koons has been a champion of AIE for many years, participating in several key cultural exchange programs. Earlier this year, he traveled to Beijing and engaged in a series of conversations and lectures that inspired cross-cultural appreciation and thought-provoking discussion among the city’s art community. 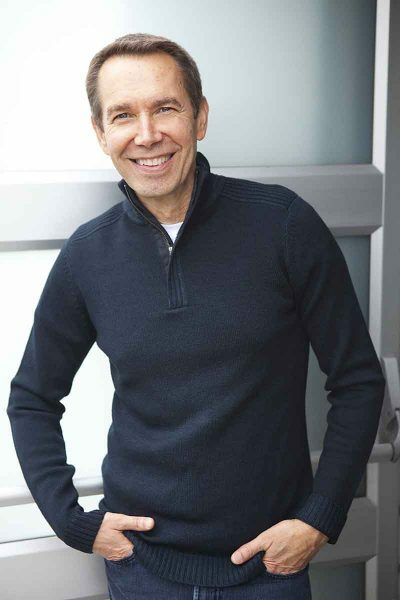 Born in York, Pennsylvania, Jeff Koons studied at the Art Institute of Chicago, and received a Bachelor of Fine Arts degree from the Maryland Institute College of Art, Baltimore (1976) as well as honorary doctorates from the School of the Art Institute of Chicago (2008) and Corcoran College of Art and Design, Washington, DC (2002). Since his emergence in the 1980s, Koons has blended the concerns and methods of pop, conceptual, and appropriation art with craft-making and popular culture to create his own unique iconography. Celebrated worldwide, his work has been shown in such globally prominent museums as the Tate Gallery, the Museum of Modern Art, the Whitney Museum of American Art, the Guggenheim Museum, The National Gallery of Art, the Hirshhorn Museum and Sculpture Garden, and the Tokyo Metropolitan Museum, Tokyo, Japan.